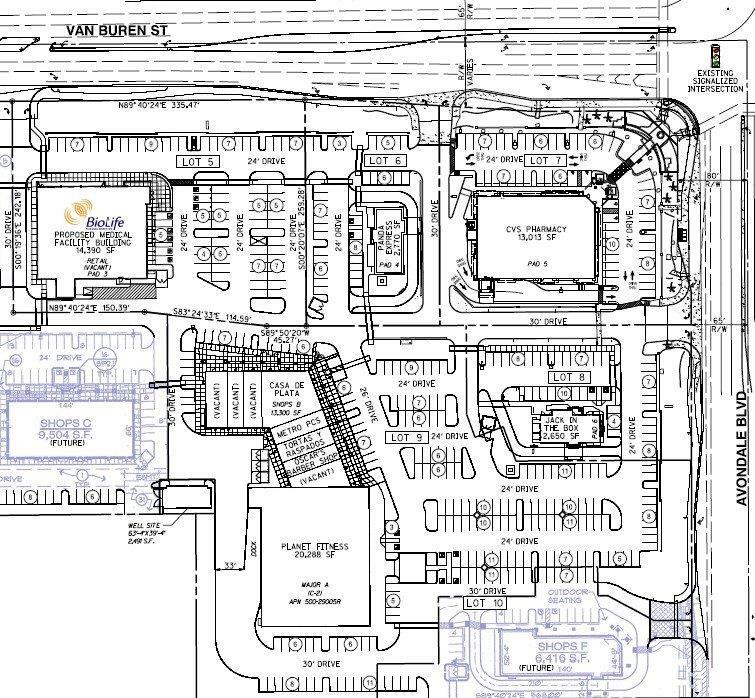 What do you think of the proposed BioLife Plasma Center located at 11575 West Van Buren Street; west of the southwest corner of Avondale Boulevard and Van Buren Street within the Coldwater Springs Promenade Retail Center? A request by Mr. Paul E. Gilbert with Beus Gilbert PLLC for a Conditional Use Permit (CUP) to allow a plasma center on approximately 1.8 acres located at 11575 West Van Buren Street, west of the southwest corner of Avondale Boulevard and Van Buren Street within the Coldwater Springs Promenade shopping/retail center. The plasma center will replace the Fresh & Easy that previously occupied the building. The proposed Conditional Use Permit is scheduled for review by the Planning Commission at 6:00PM on Thursday, April 18, 2019, and by the City Council at 7:00PM on Monday, May 20, 2019. Both meetings will be held in the City Council Chambers at Avondale City Hall, 11465 W Civic Center Drive. All interested parties are welcome to attend and address the Commission and/or Council on these items.